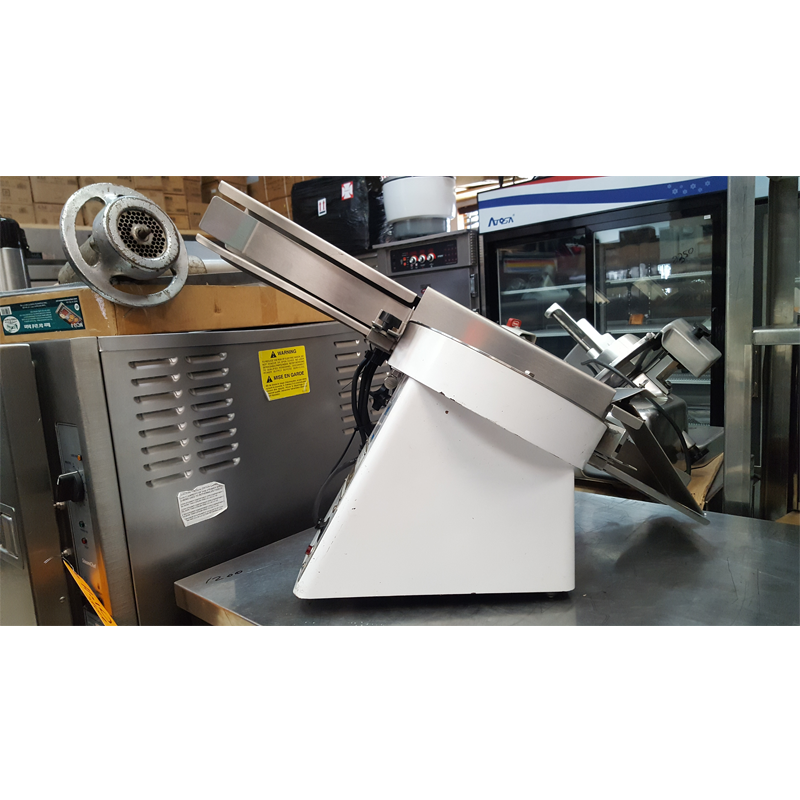 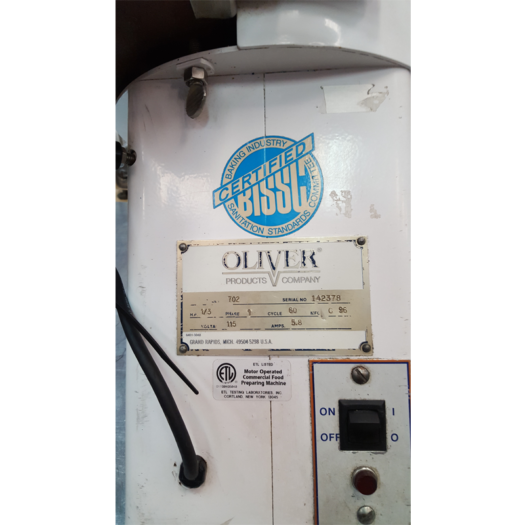 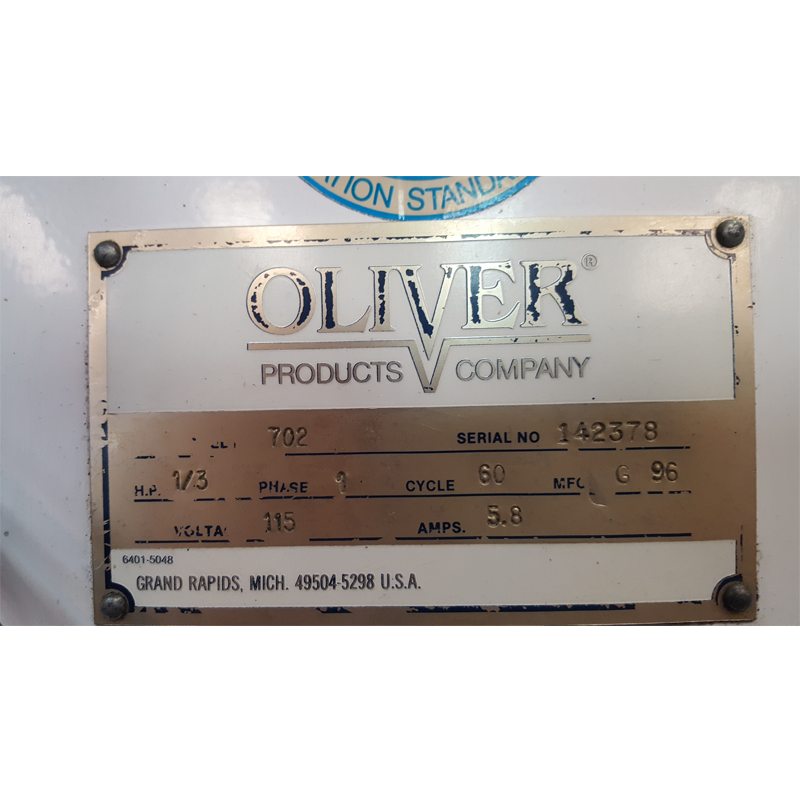 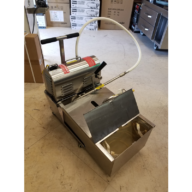 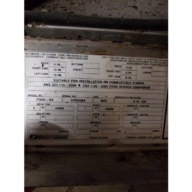 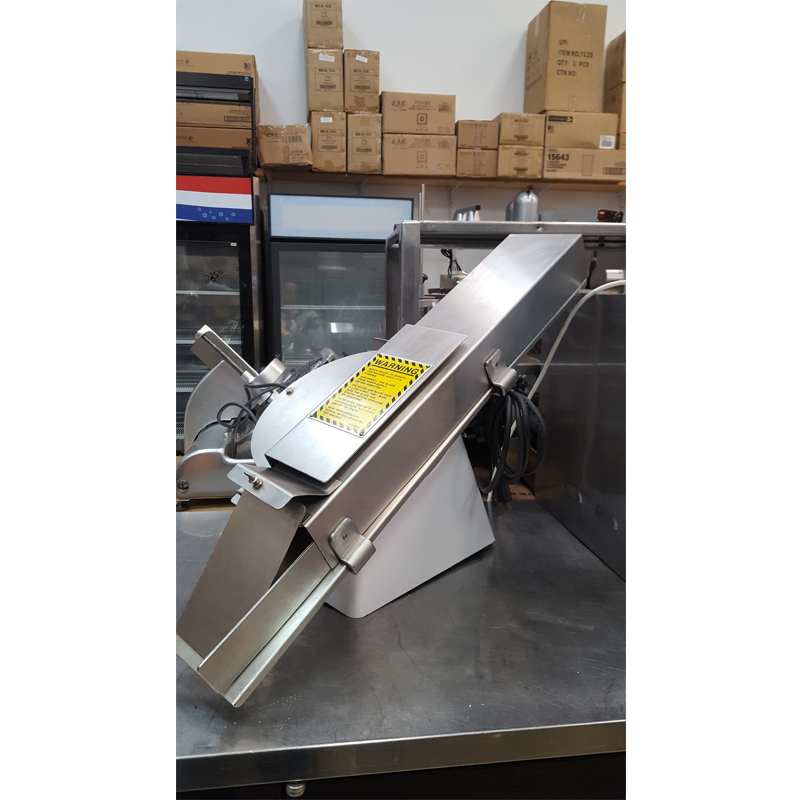 702 - USED OLIVER BAGEL & BUN SLICER INCLUDES FREE SHIPPING - Delray Food Service Equipment & Reconditioning Inc.
Motor: 113 H.P., single phase, 60Hz, 115 VAC, 6.2 AMPS. 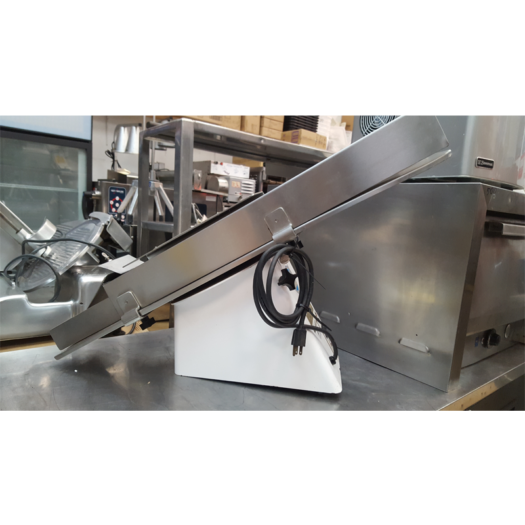 Finish: Durable bakery white powder coat finish, wear resistant and easy to clean. 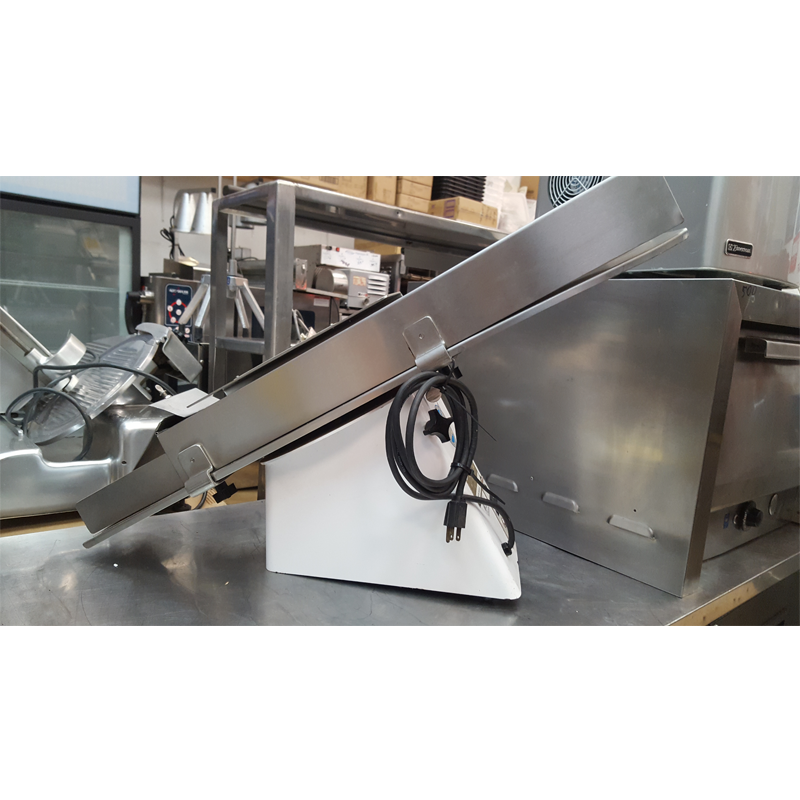 Chute, blade, and all other contact parts are stainless steel.